Embossed Calfskin This coated, brushed calfskin impresses with its vintage look. 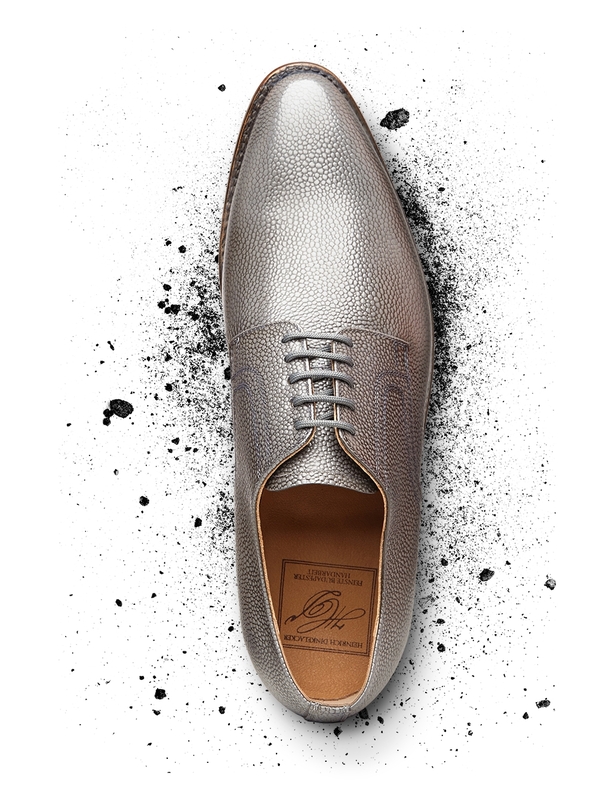 Its striking texture and finishing shine result from special embossing and polishing processes. 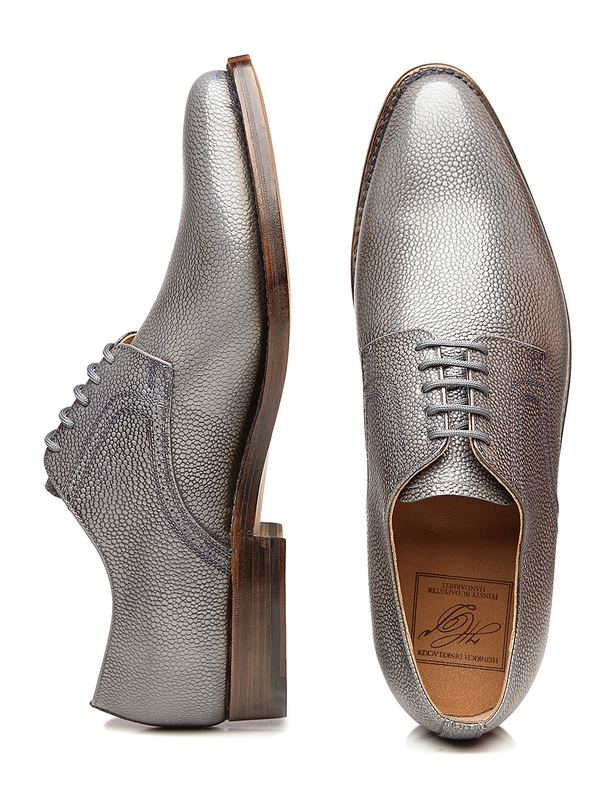 This sewn-welted plain Derby in Art Grain represents a truly one-of-a-kind piece of Budapest-based craftsmanship. 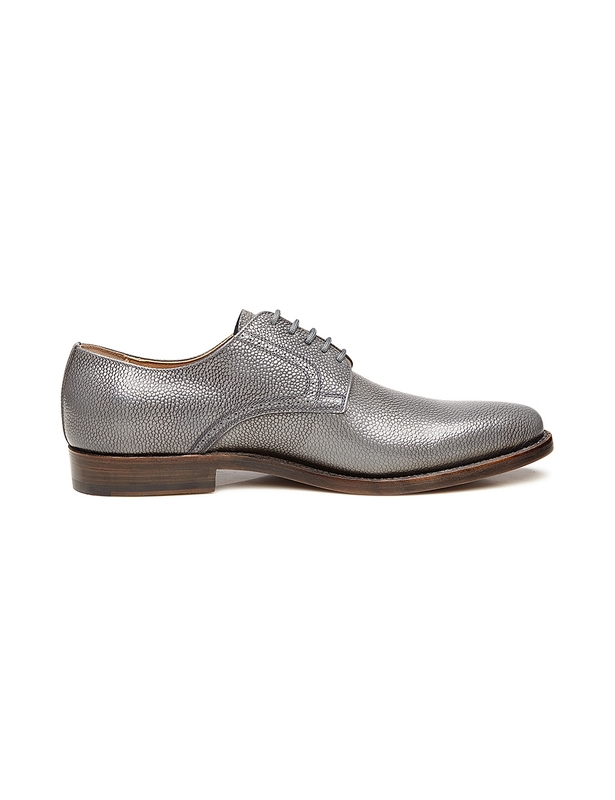 It embossed calfskin upper impresses with a striking surface structure, which creates a captivating illusion of depth. 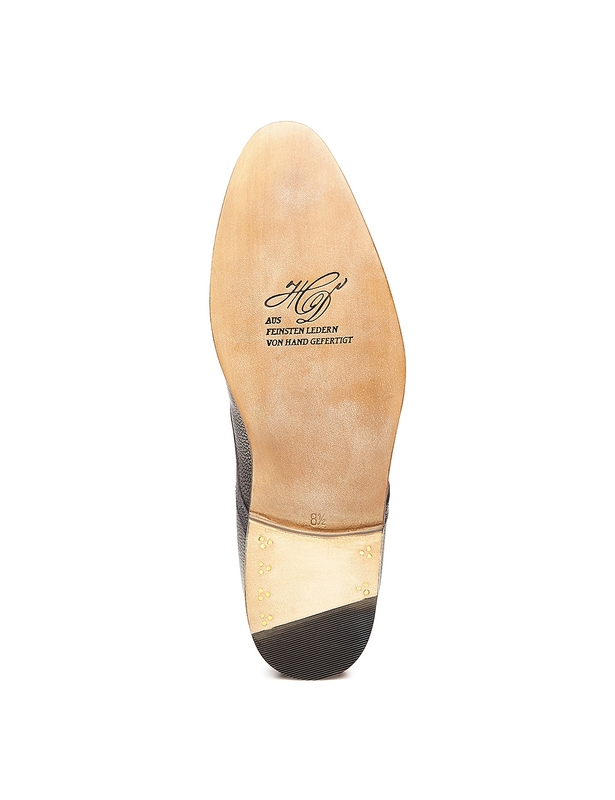 A flexible double sole and assembly around a modern Milano last ensure outstanding wearing comfort for this stylish men’s shoe. 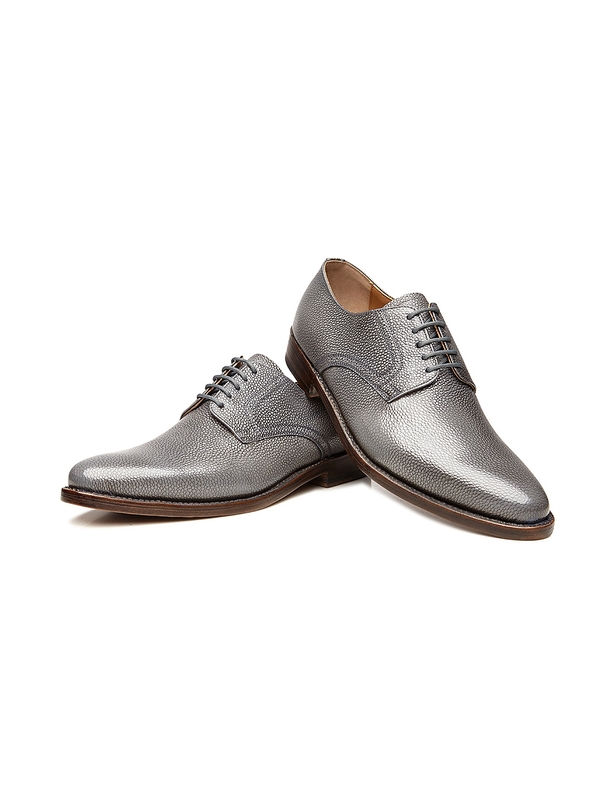 Beyond the striking structure of the upper, this sewn-welted plain Derby entirely forgoes decorative elements. 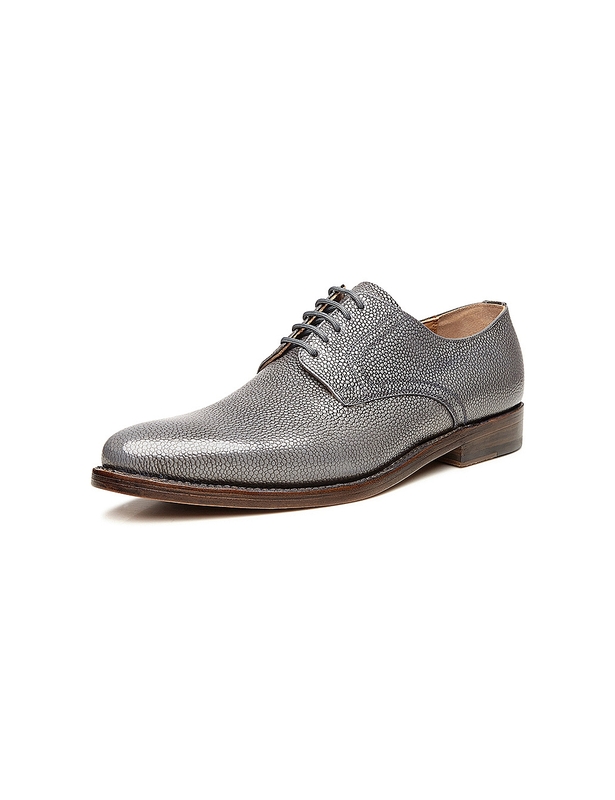 Open lacing is the only feature that subtly relaxes this model's design. 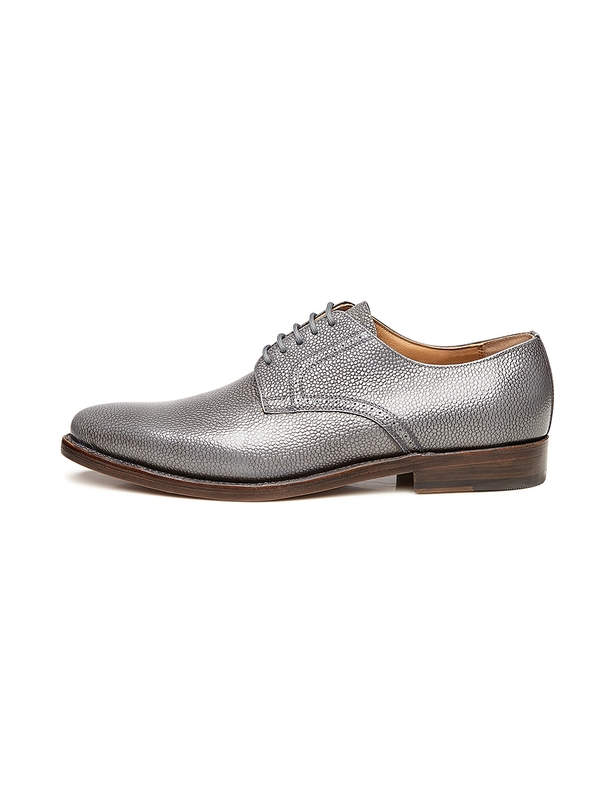 Dreamy shoes such as this one take over 300 lovingly detailed work steps to make in our Budapest factory. 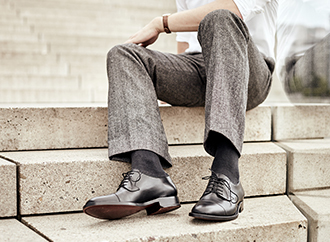 This meticulous production process serves to keep each Dinkelacker shoe intact in its completed form.